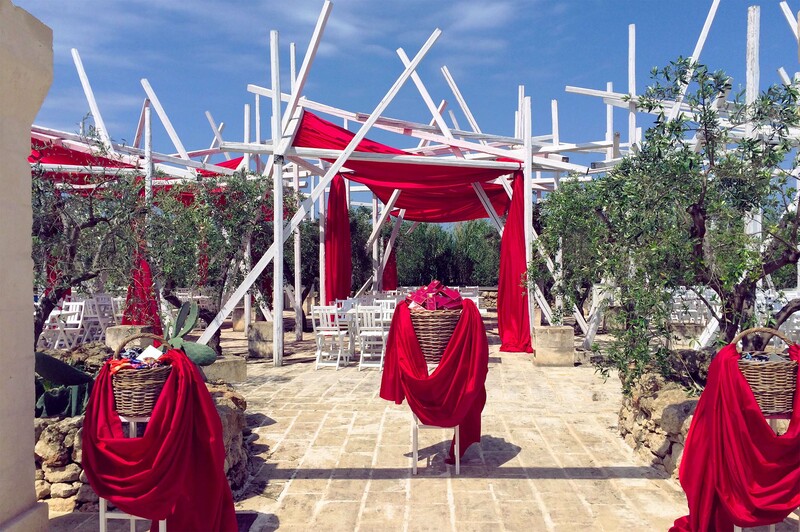 The Transform team were flown out to Puglia in Southern Italy to work their magic in the Olive grove of the stunning Borgo Egnazia hotel. 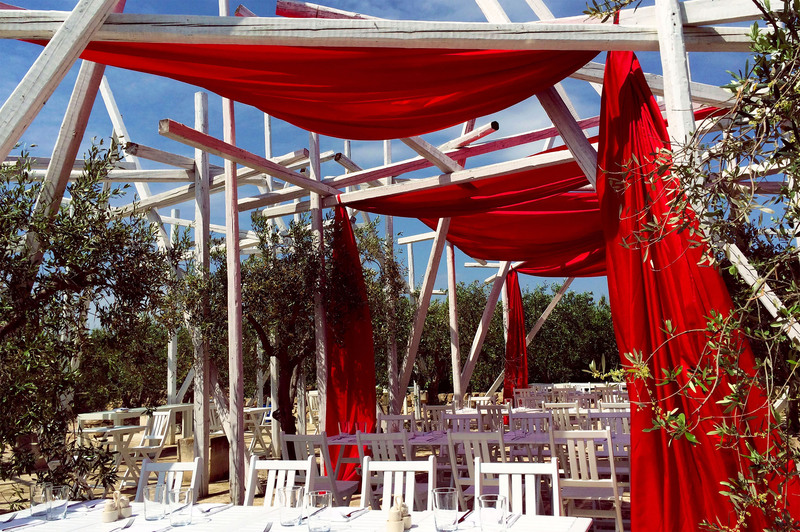 The fabric that we used needed to fulfil a multitude of functions; reflect the brands colour, withstand the blustery conditions that prevail on Italy’s coastline and provide shade for the guests so they wouldn’t burn in the beautiful midday sun. The clouds on the horizon and rain in the air at 8am meant the heart was racing but the team stuck to the plan and completed the installation in time for the sun to shine.